↑ Zacks, p. 82-83, 86. Cordingly, David (1995). Under The Black Flag : The Romance and the Reality of Life Among the Pirates. Harcourt Brace & Company. Hamilton, Cochran, et al. (1961). Pirates of the Spanish Main, 1st Edition. New York: American Heritage Publishing Co., Inc.
Campbell (1853). An Historical Sketch of Robin Hood and Captain Kid. New York. Dalton (1911). The Real Captain Kidd: A Vindication. New York. Gilbert, H. (1986). The Book of Pirates. London: Bracken Books. Ritchie, Robert C. (1986). Captain Kidd and the War against the Pirates. Cambridge: Harvard University Press. Zacks, Richard (2002). The Pirate Hunter : The True Story of Captain Kidd. Hyperion Books. আইএসবিএন ০-৭৮৬৮-৮৪৫১-৭. Konstan, Angus. (2008) "The Complete History of Piracy". (Osprey Publishing). 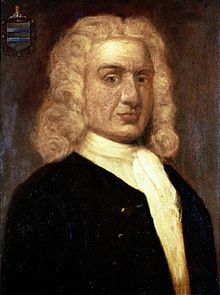 Wikisource has the text of a 1892 Appletons' Cyclopædia of American Biography article about William Kidd.